A new year, a new Call of Duty. 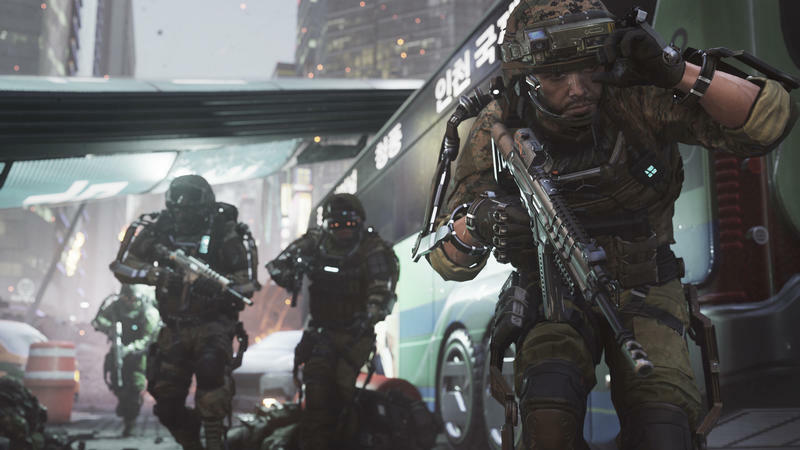 We were invited to go behind closed doors to check out a lengthy preview of Call of Duty: Advanced Warfare, the first primarily Sledgehammer Games title in the famous series. Without sounding obnoxious here, it’s Call of Duty. There are some things that change up the core formula in some odd and interesting ways, which I’ll address here in a minute, but the bulk of the experience was very much Call of Duty. If you were hoping for any sweeping changes to this one, I’m here to say that’s not the case. Not that that’s necessarily a bad thing. This franchise has a distinct flavor and feel. The look (no matter how “next-gen” it gets), the sound, the tempo, the explosions and the way characters interact is all very much Call of Duty. That remains with Sledgehammer’s big first effort. What’s new comes in the form of better looking characters, first of all. The demo did not feature Kevin Spacey, though we know he’s there from the reveal trailer a few weeks back. The demo did, however, feature a character that centered on the camera and showed himself off. He looked awesome here, and he delivered his lines with the persona and clarity that could make this game a good one to play through. 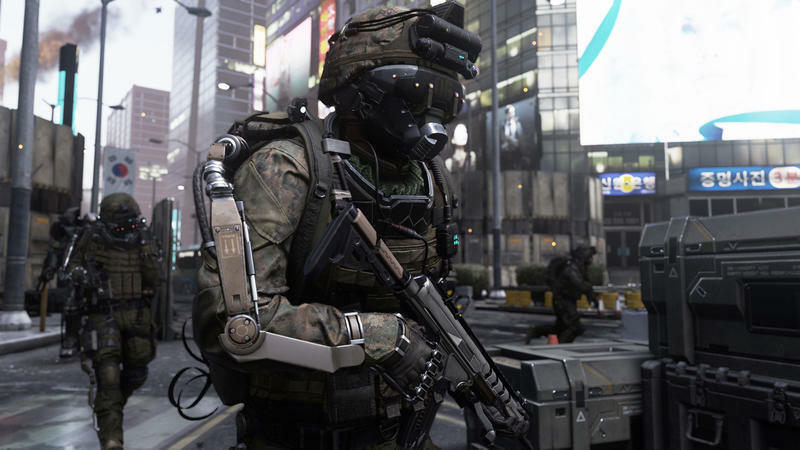 We also saw the inclusion of fancy “advanced warfare” tech that should make for some unique mechanics. First, in one section on the Golden Gate Bridge, we saw our hero making use of a jetpack to double jump and reach greater heights for a shooting advantage. That verticality made a section that should have been narrow and linear a bit more interesting. Then we saw a section that made use of camo tech. Our hero here hid in the woods in plain sight thanks to an invisibility device. The only enemy that could detect him was known as a “seeker,” and we snuck right by him with ease. Finally, hover tanks. We saw one, and it blew up a whole lot of stuff. It’s quick, agile and it packs enormous missiles and a flak cannon that was seemingly designed to bring hell down on infantry. Now, the game did look really good. The fine detail in the environments, on the character’s faces (even their readable emotions) and all the good stuff going on with explosions and debris added up to what has to be the best looking Call of Duty to date. Sledgehammer Games has been banging away at this one for three years now. That development time, coupled with the seemingly great cast, could make this a Call of Duty game worth sticking with. 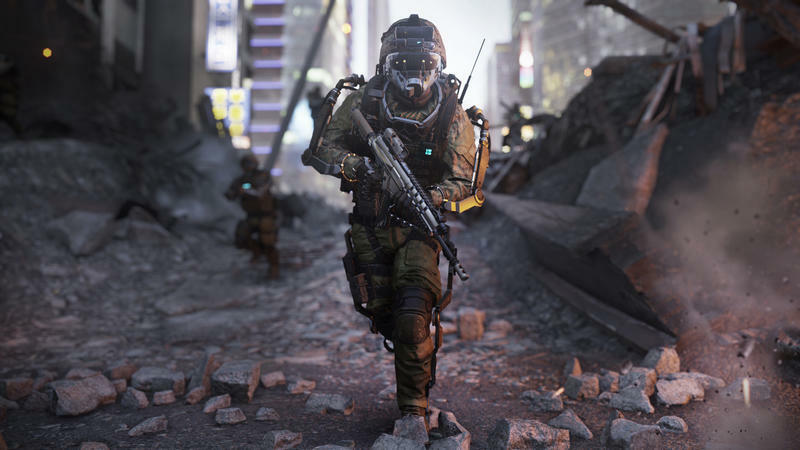 Call of Duty: Advanced Warfare will drop for the PC, PlayStation 4, Xbox One, PlayStation 3 and Xbox 360 on Nov. 4, 2014. Stay tuned.